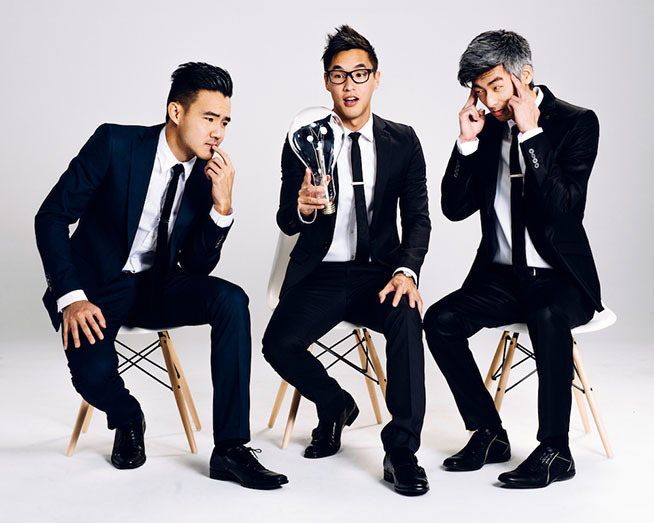 As part of their Asia Pacific EVERYTHING BEFORE US Premiere screening tour, we are proud to bring Wong Fu Productions into Australia for the first time in almost 4 years for their Australian shows in Sydney and Melbourne! MELBOURNE Wednesday 16th December, 7pm CLICK HERE! Subscribe now to Soulmanna Live here for exclusive updates and offers around their tour, Look out for the bright green SUBSCRIBE button top right on the homepage! Follow our social media for all updates and questions surrounding the tour! (1) General Admission (Movie screening + Wong Fu live Q&A session) $38 + $2.70 handling and ticket fees. (2) VIP Meet & Greet (Movie screening + Wong Fu live Q&A session, including VIP Meet & Greet 5pm at screening venue) $85 + $4.82 handling and ticket fees. (3) Premium VIP Meet & Greet + Dinner (Movie screening + Wong Fu live Q&A session, including Private Guest Dinner with Wong Fu Productions on Monday 14th Dec in Sydney (STRICTLY LIMITED TO 20 PREMIER TICKET GUESTS) $238 + $9.99 handling and ticket fees.